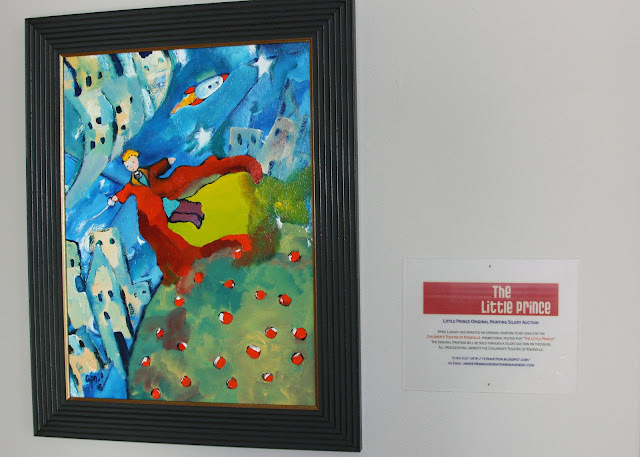 We will continue to take bids for the painting after the close of the last production of “The Little Prince” Saturday December 20. The Final bid must be received by 5:30PM. If you cannot be in the Theatre for the final live bids or prefer to remain anonymous, then you can call me on my cell phone to arrange a proxy to submit a bid on your behalf. If you have any questions or would like to arrange for a proxy, please call me at (865) 386-7860. Because of the overwhelming interest in this unique work of art, the bid increment is set at $25.00. Thanks so much for your support of our kids! That's a wonderful thing, there should be a place for living on under budget because many people have not much money may be you can help me to find one. I am about to get a job in Knoxville as a supervisor and in a big hurry of getting a mortgage place.